Discover drama and sparkle with our Blue Shimmer Contact Lenses. 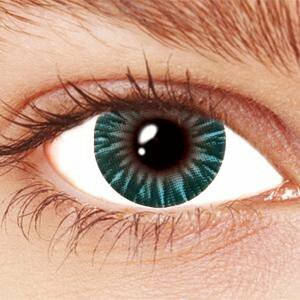 These blue color contacts have a starburst design with pale ice-blue. The color is bright and pretty, electrifying your look and opening up the whole eye area. The black adds intensity and ensures that you get a truly stunning look.